A leadership training program for yourself and your work with others integrating iAwake’s advanced audio entrainment with a physician-guided program of exercises to develop resilience, reduce stress, improve sleep and sustain high levels of performance. Dr. Peter Gruenewald, MD is a United Kingdom-based physician, and is an internationally recognized expert in the field of adaptive resilience, stress, performance, and leadership development. Peter is an associate fellow at Saïd Business School, Oxford University, and runs workshops in adaptive resilience for senior leaders and managers in the public and private sectors and for professionals, such as teachers, doctors, psychologists, and therapists. “Transformational Resilience” is Peter’s approach towards leading one's self (and others) under pressure and in crisis. This approach draws on many years of clinical and training experience, with both individuals and groups, and on extensive scientific research in the fields of chronobiology, neuroscience, mindfulness, positive psychology, motivational psychology, and anthroposophic medicine. Use of headphones is required for the most optimal experience. To fully experience the potential of this program, please get comfortable, close your eyes and relax for the next 7 minutes. Allow the nature sounds to immerse you in a deep sense of relaxation and peace. Peter is a caring physician with an unusual approach to handling stress and health in the workplace. He is expert in heart health and its impact on performance and health more generally. His sessions are evidence based, intriguing and practical. He has always been well received by my corporate clients and he is extremely easy to work with as a colleague. I recommend him and his work highly. "importance of building resilience in personal leadership"
Dr. Peter Gruenewald has been working with our team to deliver a leadership development programme for senior leaders of children’s services in England. His contribution has been on the importance of building personal resilience in leadership in order to be able to lead in what can be emotionally and physically challenging circumstances. His work has been exceptionally well received by the participants, through the combination of a theoretical underpinning and evidence base, practical exercises and Peter’s unique and sensitive style in engaging the group. What is Transformational Resilience Program 1.0? This is a program for leaders to facilitate greater resilience, focus, motivation, greater equanimity, coherence, compassion, etc. 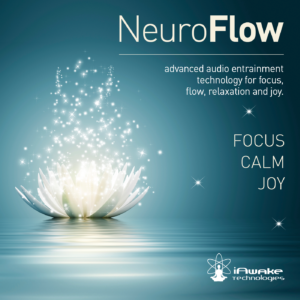 by following the exercises developed by Dr. Peter Gruenewald while listening and entraining to the accompanying advanced, psychoacoustic tracks of iAwake. This combination evokes greater effects, with greater ease and in less time. 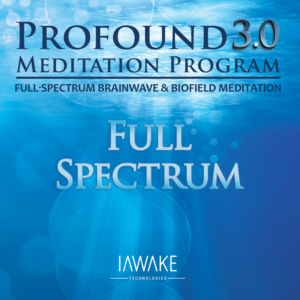 Each day you'll listen to the audio tracks with headphones as you work with the mental exercises Dr. Gruenewald has described in the TRP eBook. These exercises include Appreciative Coherence, Contemplation, and Mental Rehearsing. The brainwave entrainment of Letting Go entrains your brain towards deep delta 1 Hz. This track is profoundly calming and relaxing and may also help to prepare for deep, recuperative sleep. 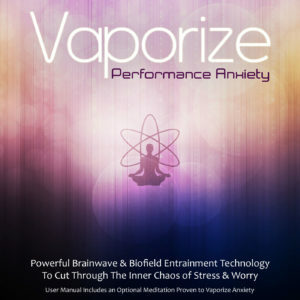 This track can be used any time of day and provides an effective but gentle brainwave entrainment at the alpha/theta border of 7.5 Hz which is particularly helpful for stabilizing your emotional state and creating inner balance and grounding, but also helps one change behavioral patterns and address addictive behavior. It is important that one understands resilience not in a static way, like a solid rock in resisting the waves, but to understand that resilience is much more like what you would see when you see a tennis player – on the court who is constantly shifting his weight from one foot to the other. You wonder why tennis players shift their weight from one foot to the other, and you will understand the capacity to catch the ball is much enhanced when we actually shift our weight and maintain movement. As soon as we put our weight on the wrong foot, we might find it very difficult to catch the ball. Something very similar happens within our physiology as well. We’re constantly, rhythmically speeding up and slowing down our heart which is called heart rate variability, the variation of our heart, and heart rate variability is actually a reflection of the flexibility and youthfulness of our body and in particular the autonomic nervous system which regulates all organ functions and also provides our capacity to adjust to environmental changes and challenges. As we actually lead and live our lives—we, of course, don’t live and lead our life only with our mind, we also live and lead our lives with our body. The question is how can we bring our body to support our consciousness in challenging situations, when exposed to change or in a crisis? 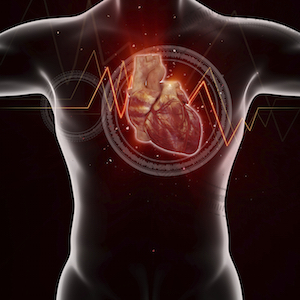 When we enhance the rhythmic capacity of our organism, we’re creating a kind of corporation of the different inner organs, an alignment of organ function between brain and nervous system of the heart, and nervous system of the gut, for example, which allows us to combine logic thinking (brain), feeling-judgment (heart nervous system), and instinct (gut nervous system) towards a deeply intuitive understanding of and connectedness with life. This alignment and the development of emotional intelligence allows us to be flexible enough to adjust to the different challenges in our surroundings. Some of the exercises in the Transformational Resilience Program not only help us to better adjust to environmental influences on a psychological level, but also to create the physiological receptiveness and physiological flexibility to promote emotional and physical health and also resilience. One of the exercises, called Creating Coherence, you find in this program specifically supports this process and its effect is enhanced by the third track of the CD which entrains brain activity in the alpha/theta range. This brain wave activity correlates very strongly with coherence and rhythmic balance within the autonomic nervous system, enhancing amplitude and regularity of heart rate variability, a key predictor for health risk and health potential. This heart rate variability training contributes towards reducing the negative impact of stress, promotes physical and emotional health and also sustainable high performance. In my general practice, I have the experience that there is hardly any condition which is not aggravated by stress. Reducing stress and empowering people to live a meaningful and connected life which is self-determined and has the capacity to reduce stress and transform extreme emotions, for example, into passion, care, love, and enthusiasm; this will surely contribute towards improving health conditions. Transformational Resilience Program 1.0 can be played on any computer, MP3 player or smart phone. The brainwave entrainment of Focus & Motivation entrains your brain from mid gamma 35 Hz to gamma 55 Hz over a period of 20 minutes. The brainwave entrainment of Letting Go entrains your brain towards deep delta 1 Hz. This track can be used any time of day and provides an effective but gentle brainwave entrainment at the alpha/theta border of 7.5 Hz. Peter Gruenewald leads sessions on a wide variety of leadership development programs for Oxford Saïd Business School and Deloitte - focusing on developing the resilience skills of leaders. His sessions are universally the most popular amongst leaders and give them immediately-applicable skills that are dramatically effective. The leaders I met, whatever walk of life they were from, whatever institutions they were presiding over, always referred back to the same failure - something that happened to them that was personally difficult, even traumatic, something that made them feel that desperate sense of hitting bottom--as something they thought was almost a necessity. It's as if at that moment the iron entered their soul; that moment created the resilience that leaders need. He is also the author of the book The Quiet Heart: Putting Stress in Its Place, Floris Books (2007). If you are not completely impressed with Transformational Resilience Program 1.0, let us know within the first 90 days, and we’ll gladly give you a full refund.